Enjoy a day in the country at Cherry Crest Adventure Farm for Half Off a Family Four-Pack of Tickets to Cherry Crest Adventure Farm. Your cost just $30! That is a 50% savings! Click here to purchase this great deal. This summer, leave the hustle and bustle of suburban life behind and take your family to Cherry Crest Adventure Farm. Your little one won’t believe how much fun you can have on a farm! 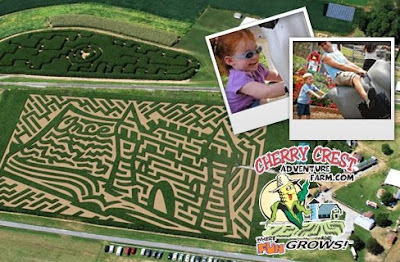 Cherry Crest has over fifty activities for the whole family, including a giant hay slide, an obstacle course, a singing chicken show, pedal karts, and the famous “Amazing Maize Maze.” There’s even a special playground just for the littlest farmers. Cherry Crest is also a working farm, so amidst all the fun and games is a wealth of learning opportunities. Families can take a wagon tour around the farm, learn about farming and agriculture at the Farm Ed Center, meet the ducks and llamas at the Farm Animal Center, see a real beehive, and watch baby chicks hatch. With so much to see and do, you’ll want to stay all day. So take advantage of this week’s deal from Savvy Source and Cherry Crest, and you’ll find yourself with tractor loads of summer family memories. -Coupon must be redeemed for use by November 11, 2011. -Coupon is valid for 1 Family Pack. Family Pack includes 4 tickets for two adults and two children. -Coupon must be printed out and presented at the box office in order to receive discount. 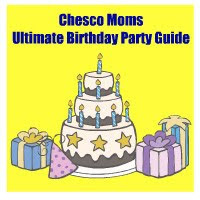 -Coupon is transferable and can be purchased as a gift. Limit 2 coupons per order. -Coupon cannot be combined with any other coupons, discounts, or promotion. Coupon has no cash value. At Cherry Crest Adventure Farm, visitors of all ages can have a great time while learning a little something about agriculture. Located in the heart of Pennsylvania Dutch Country, this working farm and agri-tainment destination is best known for their Amazing Maize Maze, which has been featured on the Today Show, Good Morning America and other national programs, and is listed on Sports Illustrated Kids’ “25 Cool Things To Do This Summer” list.